The automotive industry is one of the technological trendsetters in the manufacturing industry. In 1913 Henry Ford invented the assembly line and forever changed automotive production. Now a bit more than a century later the automotive industry is again facing one the biggest innovations in its history. The complexity of different models and the variety of equipment variations are enormous. This individuality comes with great challenges. The workers in the assembly process are confronted with countless, almost identical components. This requires accurate tracking of all items to avoid mistakes. Safety-relevant components are, therefore, often provided with a barcode that has to be scanned manually. While the barcode only contains the information about which type of product it is, the RFID tag provides additional information, such as in which vehicle the car seat is to be installed. While the barcodes have to be read out manually one after the other with a handheld scanner, the RFID tags can all be detected simultaneously and without contact via a scanner – even if the parts are already installed. RFID tags can be used to retrieve information in seconds at any time. During the production process, it can already be checked whether all the required components are installed – provided they are all equipped with an RFID tag. Without RFID, this was only recorded in the final inspection, using visual inspection and paper list. 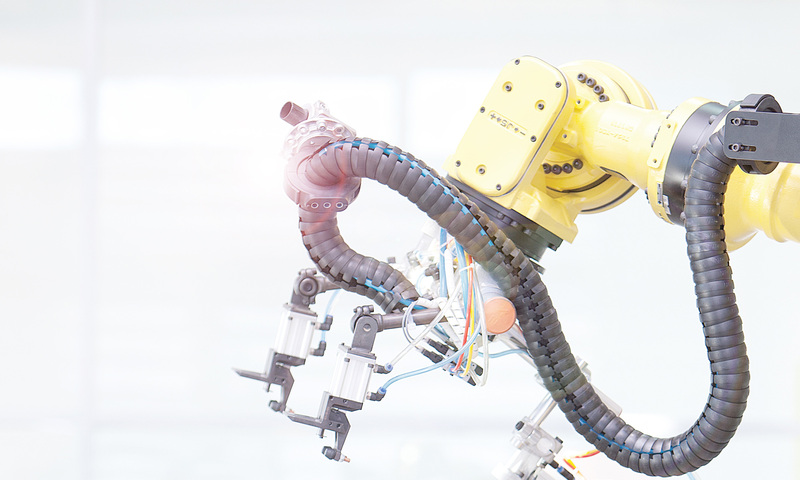 Additionally, nowadays it is indispensable for the automotive industry to make the production parts traceable and thereby assign them a unique identity. RFID has the advantage that without visual contact or even after a repainting of the component, the information can be easily retrieved. The function is not lost with dirt or oil coverage. Furthermore, tags with special encapsulation can retain their function even under high mechanical, thermal or chemical loads. RFID is the identification of objects by electromagnetic waves. A reader generates a high-frequency electromagnetic field. If a data carrier (also called “tag”) is brought into the vicinity of the reader, the specific structure of the tag ensures a change in the field and thus transmits individual information about itself – contactless. Several thousand parts are needed to build a car. But only those parts that are safety, environmentally or testing relevant get an RFID tag. For example, the motor cabling would get a tag that can be read out automatically. Without RFID a worker would have to manually enter the label in a database and errors can easily arise. RFID detects the part automatically and you don’t have to look for labels in transport boxes, etc. With RFID you know exactly where a component is located at any time – from the moment of delivery until the belt run of the car. With this information you can react flexibly to changes in the process, such as delays in certain areas, and can reschedule at short notice. In addition, you can always retrieve the current stock and know whether the right component is mounted on the right vehicle. So it can significantly increase process reliability and efficiency. An RFID solution eliminates several manual steps in the documentation per vehicle, and it brings more transparency to the logistics and production processes. That means the effort is reduced and the profitability increases. Ideally, the implementation of RFID starts with the automotive suppliers. They attach the RFID tags to their components what allows them to use the technology within their own logistics and manufacturing facilities. 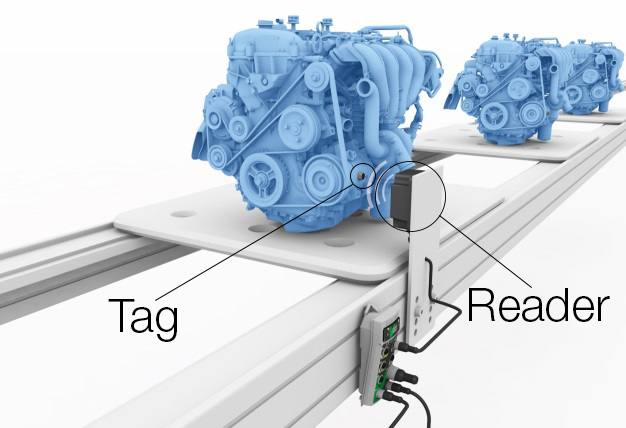 On arrival to the car manufacturer, the parts are driven through an RFID gate that reads out the tags automatically and adds the parts to the inventory. If the car leaves the assembly hall after manufacturing you can screen again by the RFID gate. At the push of a button it can show which parts are under the hood. The processes in the automotive industry are versatile, but a broad selection of innovative RFID products can push your automotive production into the fast lane. For more information on RFID, visit www.balluff.com.